Today is busy all day. From dentist appointments to parent teacher conferences to lots of work to finish for me. The evening will be a little sad. We’ll be saying goodbye to my aunt and grandmother visiting from Guyana. It’s been nice to walk into my parents house and see them. I love the conversations I had especially with my aunt and the wisdom of from grandmothers. Although I wish we could have done more with them, it was so nice to have more family around. Saturday afternoon I’ll be working. We are literally up to our necks in work right now. Between Straightforward Consulting, Barrels to Beethoven, DJ illeso and Rhythm ‘n’ Steel and of course our children and home. We have a “to do” list that would bring some to tears. So spending a few hours checking off the list on Saturday afternoon is a must. The highlight? At least we’ll be together! Saturday evening will be unique and fun. At my daughters school the parents of each grade spend some time together (without the children) to get to know one another. So we’ll be spending the evening at the home of one of Cece’s classmates. A nice idea and a chance for us to get to know other families at our school. Sunday morning is back to our usual routine. The crazy summer had us really out of whack, but we’re back! Sunday morning will consist of church and brunch. Sunday evening will be another unique and fun event were headed to Monster Mash, Family Bash! A family friendly Halloween party at La Tavola, a great restaurant owned by a great friend. 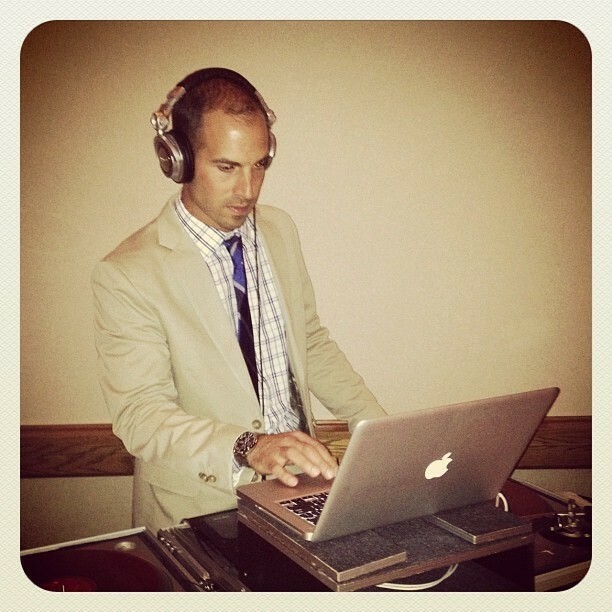 I helped a little with planning and David will DJ. The girls are beyond excited!! I would say it’s all about my family, work and fun this weekend but that’s every weekend, that’s actually my focus everyday. After a great morning of conferences I’m proud of myself, my husband and especially our girls. Many years ago I made a decision to do it all. My all, my version of doing and having it all. Being an entrepreneur, a professional musician and starting an organization that engages and inspires people, are goals I’ve had since I was a child. However, seeing my girls growing so well, hearing what their teachers, principles and others say about them, fills me with pride and joy. Above everything else my greatest goal has always been to be a good mother, I’d say great mother but I don’t want to place too much pressure on myself😊. To raise children, ultimately women, that are confident, kind and hardworking would be my greatest achievement and the biggest impact I could make in this world. My girls are those things and I will continue to encourage and inspire them as they grow. Being a parent is not easy and we know some of the paths we’ve chosen make things a bit harder, but it’s worth some hard days to ensure positive growth and diverse experiences for our girls. All of their teachers describe them as; well spoken, smart and kind, that is our reward. I feel overjoyed and extremely blessed with our journey thus far. Friday morning will be spent with girls working from home anticipating the end to a very hectic work week. The afternoon has been deemed “girl time” and we’ll be doing nails, enjoying lunch and spending some time together. Friday evening will begin with a stroll through downtown Pittsburgh for the Gallery Crawl. I love attending this event. From music to art and performance, there is so much to experience and always something new offered. I’ve been surrounded by the arts and creative people for the past few months and I couldn’t me more happy about it. Those who create are such an inspiration. it leaves me always wanting more.The evening will end with a drink at my new favorite spot, Tako. Where my favorite dj, aka dj illeso, aka David Pugliano aka my husband will have you moving in your seat to the very best music. A creative in his own right, he claims to not be a musician as I am, but somehow knows and feels the music as if he was playing it off of the sheet. Saturday morning will start with yoga, although this will be my second class ever, I’m excited to join my new friend and yoga instructor, Cara for a pop up yoga class at James Simon Sculptor Studio. What an incredible space to host a yoga class. My first yoga experience occurred a few months ago with Cara when we hosted pop up yoga class at fieldwork contemporary. That class kept me feeling calm and strong for the remainder of the day. I know the many benefits of yoga and I know my body, mind and spirit need it. I’m eager to try it again before diving in for regular sessions. The afternoon will be a delight. I’m teaching a Saturday afternoon steelpan class through my organization, Barrels to Beethoven. These students are doing so well and teaching steelpan brings me deep joy and satisfaction. I’m hoping to offer free Saturday classes in the fall. Let’s just hope the funding organizations get hip to how amazing the steelpan is and how beneficial these programs are for youth. Saturday evening is all about my family. I’m planning a picnic dinner in the park. A delicious menu, fun desserts and spending time outside as a family, our favorite things to do in the summertime. this Sunday bringing it back to normal. We haven’t had a typical Sunday in a long time. Church, for us, is the best way to start our day and our week. Followed by brunch and a trip to the pool, if the girls get their way! This weekend will hopefully leave me feeling, relaxed and inspired. In spending time with a friend a great artist and yoga instructor, I’m learning about the importance of rest, both for your body and mind. Taking time to rest leads to more productivity and improved creative process. I am so used to working hard all of the day, rarely stopping to eat, rest and reenergize. I am learning to set aside regular time to do so. Whether its yoga or mediation, or making time to simply rest. I want to do this because I know it will have a direct positive impact on my family, my work and my creative endeavors. Taking care will increase my ability to do more. So many speak of how busy they are like it’s some sort of achievement. I’m not busy, I don’t talk about being busy. For me, I am successfully managing all aspects of my life. Starting with my children and my family and all that comes with that. My life’s work. I’ll spend the day working at home with my girls. Tonight, I get to do one of my favorite things…practice. I love to play my steelpan and rehearsing alone is great but band rehearsal is even better. I sometimes feel guilty, music makes me feel so amazing, at my last gig, my cheeks hurt from smiling so much. It’s an unbelievable feeling and I am so thankful music is a part of my life. This will be somewhat of an untraditional band practice, wine and live painting will be included thanks to my amazing new friend and artist, Sarah, whom I’ve now connected with in so many ways, but began our relationship through our love of music and art, an incredible foundation to build upon. Saturday morning I’m hosting an open house and information session for my organization, Barrels to Beethoven. I’ve taken on a mission and I know…I don’t have to do this but, I have to this. Barrels to Beethoven is my contribution to the sustainment of an instrument that has empowered me, educated me and helped to craft the person that I am. The steelpan. More importantly the steelpans developed by my father. 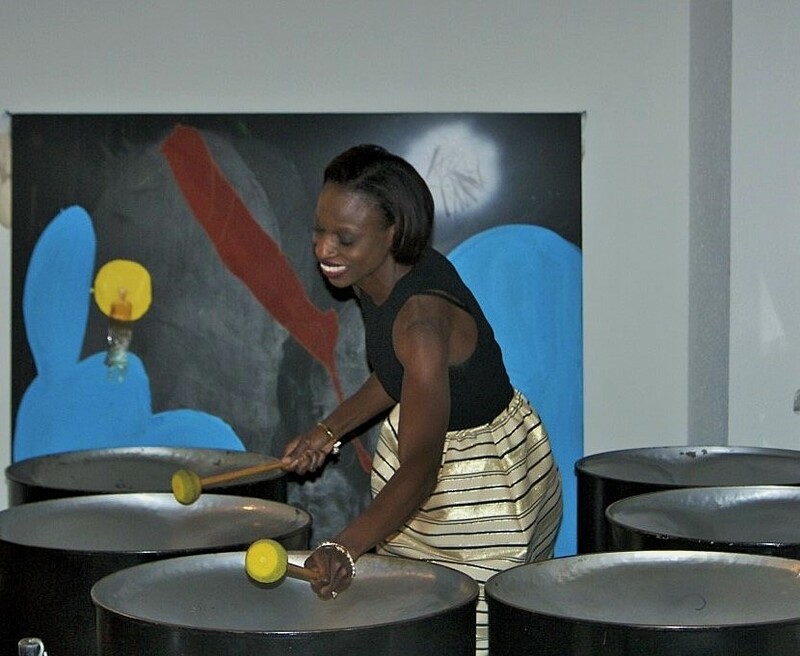 My organization is focused on developing steelpan programs that expose young people to the benefits of the steelpan and arts education, inspire a new generation of steelpan makers, and create a focus around innovative ways to sustain the instrument. I need the steelpan to be around forever, this is how I can do my part. Saturday evening is a whole different story. My band is on the bill for PRIDE sharing the stage with Nick Jonas. Some of you may or may not know or like, this particular pop star, but in my house, with three young girls, I’m the absolute coolest mother ever! I’m looking forward to playing a great show with my band then enjoying the evening with friends. The Sunday morning routine will change a little, an early afternoon bridal shower for my nephews’ Bride-to-Be is the focus. I LOVE, love. Celebrating the special moments of others is both a joy and a privilege. This young couple, just like all married couples, needs the love and support of all around them, and we’re happy to be there to support, in any way we can. We sometimes forget marriage needs support from both within and outside. The girls and I are looking forward to celebrating with the beautiful Bride-to-Be. Sunday evening brings another fun gig. My band will be closing out the weekend at the Arts Festival with another performance downtown. Looking forward to performing for the crowd, I always love meeting people that are hearing the band or seeing the steelpan or a steelband for the first time. This weekend is all about Music, Community, and Love. What could possibly be better than that? I know my view of the world may be bit different than most. I see beauty in almost everything. I’m inspired by so many things and so many people. I am inclined to help others. I give my time when it’s required. I am never the same, constantly learning and growing and changing. Community, gathering with others, collaboration, discussion…all of these things create joy. I’m inspired to be and do. Not just be. It’s been a while since I’ve written about a well planned, busy weekend. Mothers Day weekend seems to be a good time to return. This weekend is busy but will surely be a great time. I’m spending the day with my younger girls working at the gallery. It’s getting easier everyday to work with Cece but having her big sister here day makes for an easier time. Still hard to get things done but easier none the less. I’m really looking forward to the evening. A night filled with live music and art at the gallery. Even better? My good friends will be in town and joining us. David and I will be kid-free and ready for a fun night with some of our favorite people. This day still remains the busiest of the week. Stella and Cece’s dance classes have ended but Sofia will continue for a few more weeks. No sleeping in for us. Class starts at 9am. The afternoon brings another fun event at the gallery. To me, it’s so important that children not only experience the arts but have the opportunity to create. The amazing artist and educator that I’m working with feels the same. She’ll be leading children and their parents through a fun afternoon workshop entitled; Art with the Artist | What do you see? We are all looking forward to this! Saturday evening I’ll be attending another gallery opening. So excited to see the space at Studio AM and I love being amongst amazing art and creative people. Mothers Day! I get very excited for Mothers Day. Not just because I’m a mother but because we’re celebrating mothers and motherhood. We deserve that. I have something special planned for my momma and I know David and the girls have something special planned for me. We’ll start the day with Sunday mass, hopefully skip brunch (I know, I love brunch, but David’s meals have been amazing lately, much better than eating out) and head down to the Neighborhood Flea fun event with vendors, cool food and music. I also have a feeling there’s a picnic in my future… if it doesn’t rain. No matter what, I’m going to enjoy the day with my family. I will never stop trying to be a better mother, which means I’ll never stop trying to be a better person. I know for many people change is not easy. But it’s so necessary. I can recognize a shortcoming within myself and focus on being better. It’s not always easy and I’m not always successful, but I do it for my girls. I better myself daily to be better for them. I’m a mother. I first met artist Sarah Zeffiro by chance when she kindly attended the opening reception and launch of my organization, Barrels to Beethoven. Although we had never met, her spirit makes you feel as though you’ve known her for years. Our next close encounter was in December, her amazing artwork was the featured art in my pop up boutique. She spent a day with us in the boutique and during that time, I had the pleasure of getting to know her even better. Sarah doesn’t just tell you about herself and her art, she shares her inspiration and process. She also wants to know about you and your experiences. It’s as if she absorbs the world around her and fully experiences every encounter she has the opportunity to be a part of. Sarah approaches her art as a dancer approaches the stage, musically, rhythmically and sometimes a bit wild and unpredictable. She describes her creative process as being like a dance, moving around and on top of the work, swapping large brushes for small and charcoal for pastels, all while in motion. 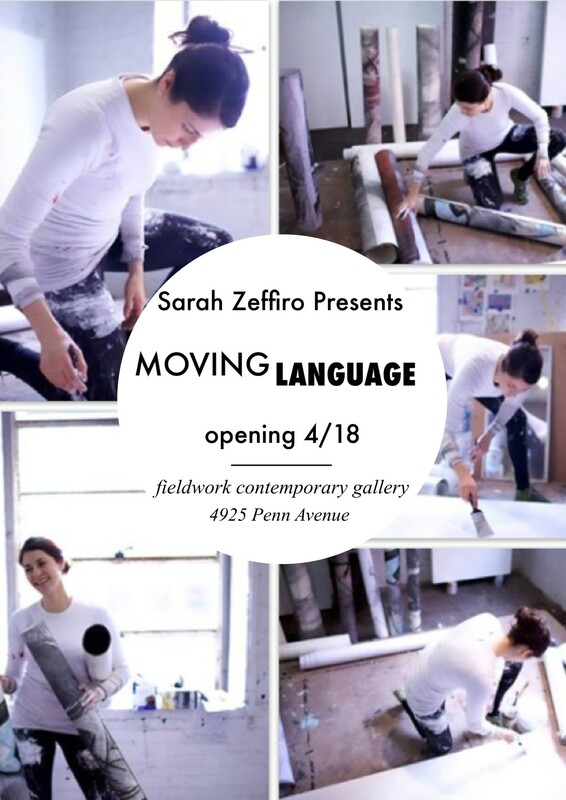 Sarah’s new work, “Moving Language” opens on Saturday April 18th. This work blends space, lines, texture, dance and movement. I’m excited to be a part of this project and cannot wait to experience the final product. SAVE THE DATE! Martin Luther King day always leaves me with mixed emotions. On one hand I am so moved by Dr. King and all of the people who were a part of the civil rights movement but on the other hand, I get overwhelmed by sadness thinking about the kind of world they lived in versus the kind of world we live in now. To celebrate the day, I used to volunteer. 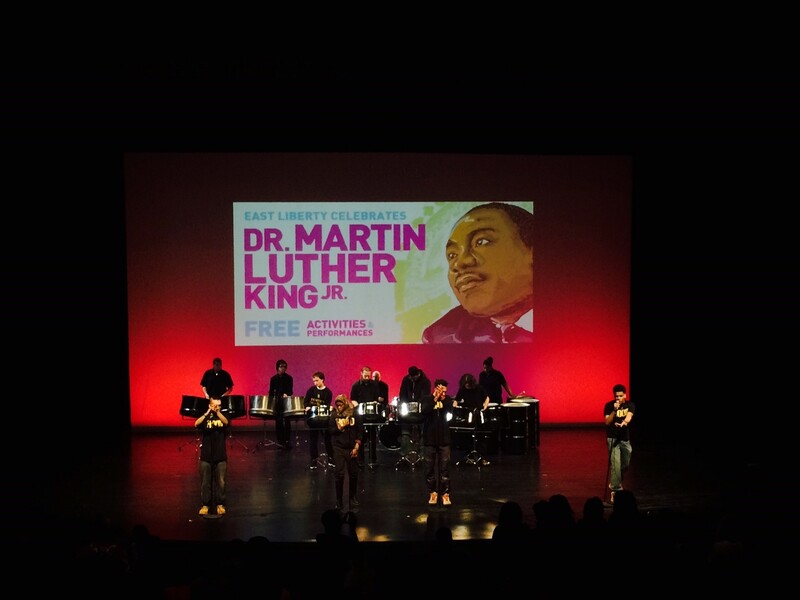 Now to celebrate, I spend time with my children, out in the community at the Kelly Strayhorn MLK event. I love this event because it’s geared toward children, the arts and the community. I spent some time earlier in the day listening to Kings speeches with my girls. The “I Have a Dream” speech from the March on Washington and his last speech before his assassination. I cried. Actual tears. I heard both of those speeches a thousand times, but today, I cried. Thinking about that world, this world, his strength, my children, and the experiences I’ve had. I cried. There was so much hate back then. But there is so much racism today. There is still so much work to do. On this day people are hopeful, happy and celebratory. We all love Dr. King, his messages and his story. For me, I think about my message, my story and my impact. How will I make the world a little bit better for my children, all children. The truth is…I’m not sure. The real truth is, I’m going to try. I know for a fact I’m not racist. I know for a fact I don’t hate. I know for a fact that I judge others based on the content of their character. I’m blessed to think that way. Happy Martin Luther King Day. Continue to live as though the fight is not over. Continue to focus on his dream. Our dream.